NOTE: I like the idea of combining months that go together, as I did with June, July and August. Making a Home Page interesting every month is difficult, but combining them gives me more range of topics and ease of moving from one month to the next. I took this photo in our parking lot one early fall, perhaps late August. It shows how some trees start to lose their chlorophyll early. For me it is a sign of joy; for others, a sadness that summer is almost over. to fan the flames of Fall. my favorite season of all. Ah, the crispness I remember! Fall has a feel of its own for me: the beginning of the school year, the Jewish New Year, the change of clothes, the hardier foods as the weather grows cooler. All of these are familiar signs that summer is ending and another year will soon be over. Last year I saw a picture of fall on the Internet that said underneath: My favorite season is October. So fitting for me! September and October also bring other celebrations and significant dates, such as: Labor Day, Grandparents Day, Ovarian Cancer Awareness Month for September and National Breast Cancer Awareness Month, Halloween, and National Hispanic Month (Sept 15-Oct 15). These are also the months that I love to buy apples for their crispness, dark greens for their chlorophyll, and adding nuts and seeds to my salads and main dishes. 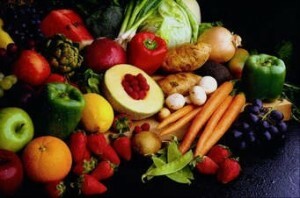 In fact, September is Fruit and Veggies-More Matters Month, a new one for me. 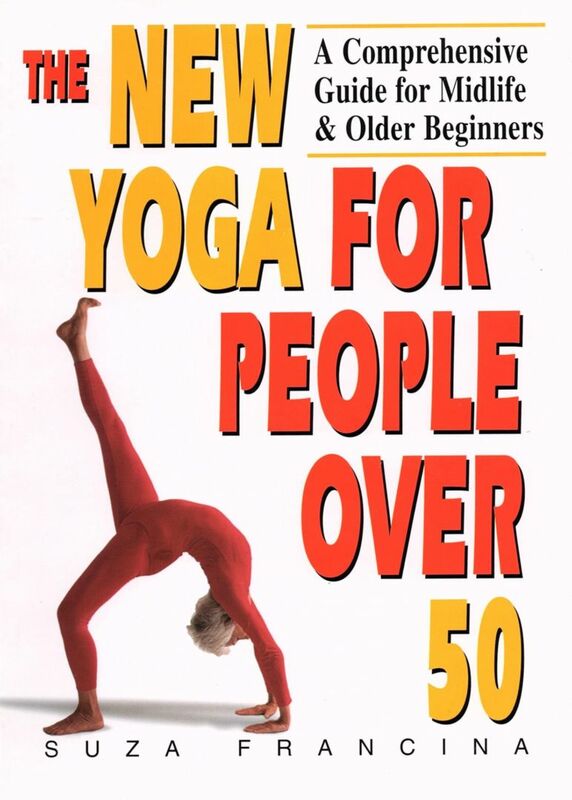 Also, National Yoga* Awareness month is September, and also World Alzheimer’s Month, a disease of growing concern for older people like myself. October brings us Mental Illness Awareness Month, Domestic Violence Awareness month, and Health Literacy Month, to name only a few. Whew!!! *I plan to review a The New Yoga For People of 50 by Suza Francina, whose books I have reviewed before. 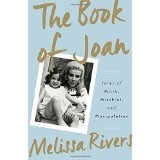 Since National Grandparents Day is September 13th and Joan Rivers died only one year ago on September 2nd, I thought I would review the book her daughter Melissa wrote as a way of honoring Joan and also Grandparents Day, since she left behind grandson Cooper. End of summer also brings the flavors of the end of summer and beginning of fall. I made an easy dish using zucchini and yellow summer squash that I will post. 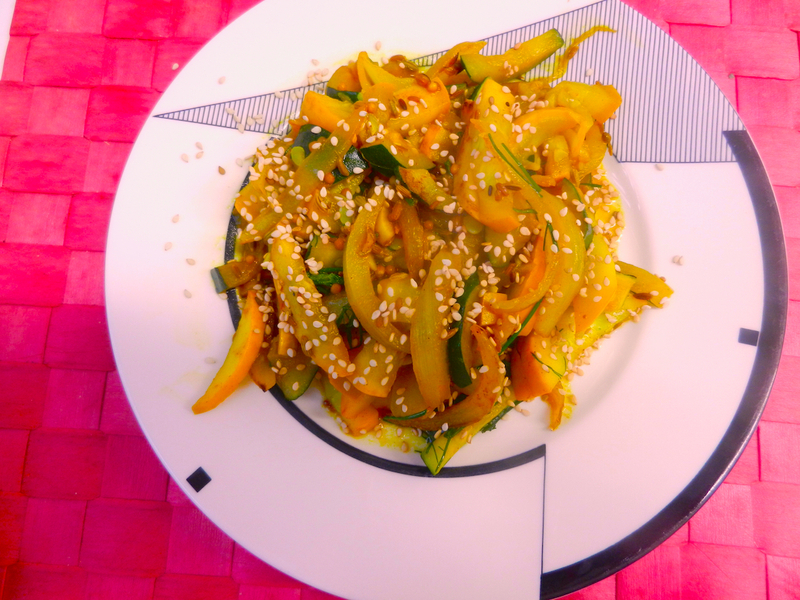 There may also be some of my recipes still being posted on Women’s Voices for Change. If so, I will post the links. This, of course, is the famous scene in which MM stands over a grate in NYC and the hot air blows up under her dress. This is huge!!! If you are not too far from central Jersey, this sculpture garden is quite interesting and there is a nice restaurant on the grounds. But you need a reservation. 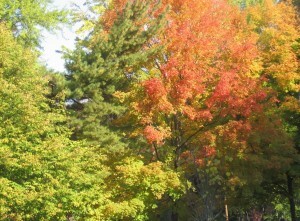 Enjoy the lovely colors of fall! A recent article in the Philadelphia Inquirer noted that August is the perfect month for stone fruits, that is fruits with pits, such as apricots, plums, peaches, nectarines and the newer hybrids like plumcots (half plum, half apricot) or aprium (apricot more prominent than plum, fuzzier and thicker). 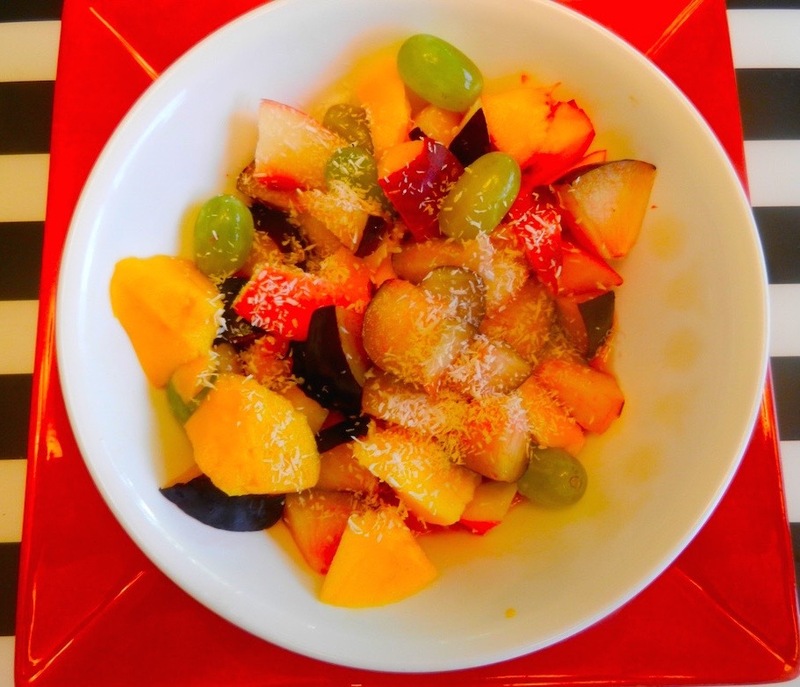 I went to Mom’s Organic Market hoping to find all of these stone fruits, but did not find the hybrids, so I decided to make a fruit salad that had mostly stone fruits and added grapes. If I can find what I want, I will post a recipe called Plum Crazy in a few days, even if it is September! For now, here is my offering, made with organic fruits, since the peels are included for their beautiful colors as well as fiber and nutrition. 2. Cut and slice around the pits, making the pieces bite-sized. Wash grapes well and remove from stems. Place in a bowl. 3. Add a small amount of unsweetened (orange) juice, one or two tablespoons of pomegranate or cherry concentrate, or some brewed iced tea such as red zinger tea. 4. Toss, place in serving bowls and place slivered almonds and coconut in small bowls for topping. Variations: Use unsweetened applesauce or yogurt for toppings. Incorporate hybrid plums if available. Yield: 2-4 servings, depending on size of the fruits and whether using it as a snack or as a main part of breakfast. 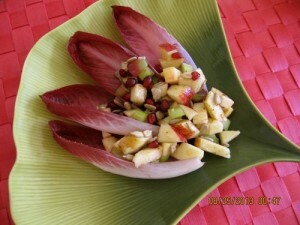 As we inch towards fall, you may want to wait until the newly picked apples arrive before making this apple/pomegranate salad featured in Women’s Voices for Change. Here is the direct link. Please leave a comment if you care to. They keep track. P.S. A few years ago I admired these ginko plates at Crate & Barrel. That year for my birthday, my daughter Basha surprised me with a gift of two of the plates and two of the miniature side dish ginkgoes for condiments. I love them!!! You are currently browsing the Menupause weblog archives for August, 2015.